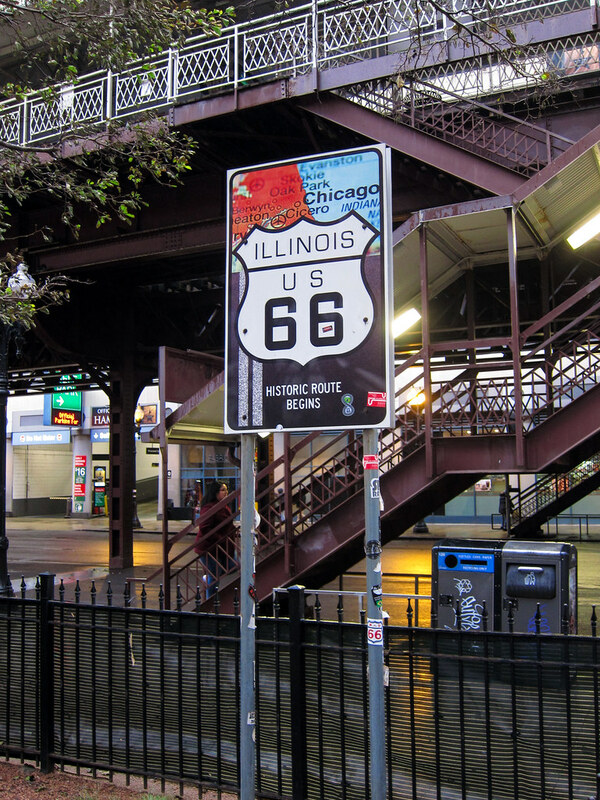 You’ll find this “Route 66 Historic Route Begins” sign on Adams St. at Wabash Ave. in Chicago — one block away from where the route actually begins, at Michigan Ave.
A smaller, standard brown Historic Route sign marking Route 66’s actual beginning is bolted to a pole right at Adams and Michigan. 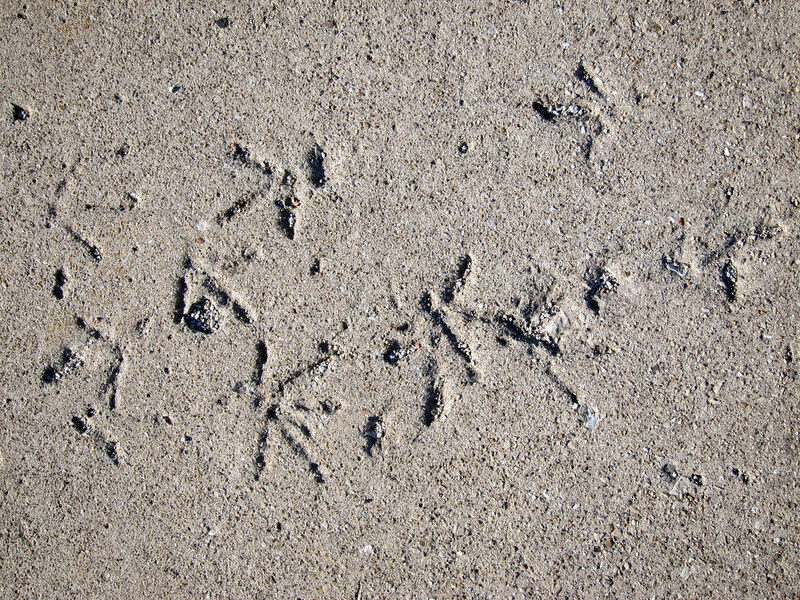 I thought I had a photograph of it, but alas. This page has several. The official End Route 66 sign is one block away, on Jackson Blvd., as Adams is one way west and Jackson is one way east. 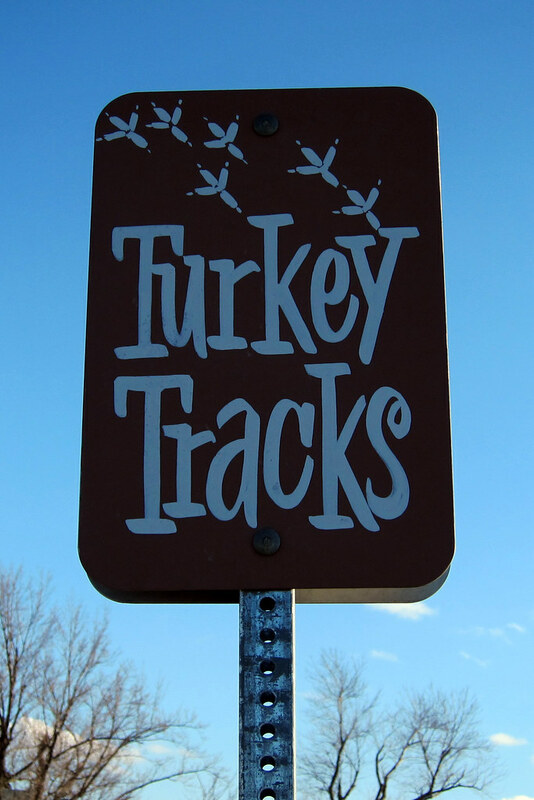 On this Thanksgiving Day, enjoy these photos of the famous Route 66 turkey tracks. 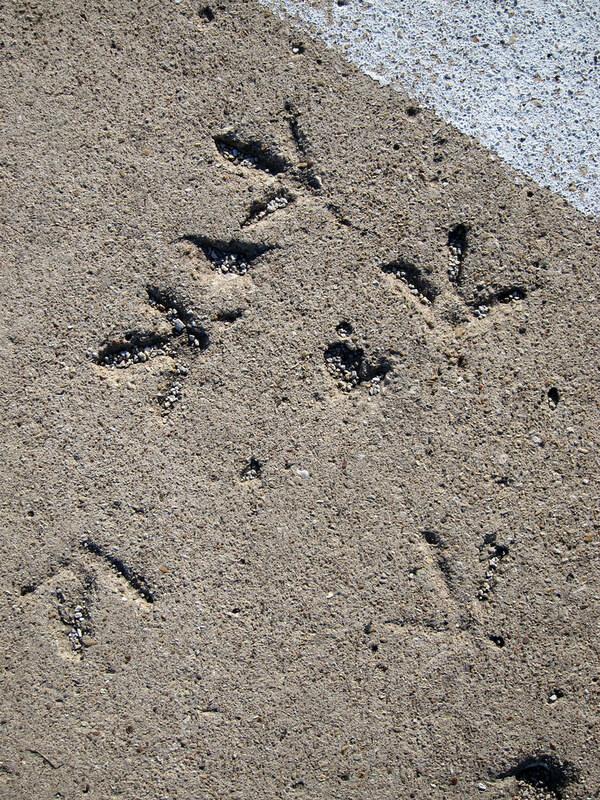 When Illinois paved what would become Route 66 in concrete, a turkey walked into the still-wet road and left his mark for the ages. 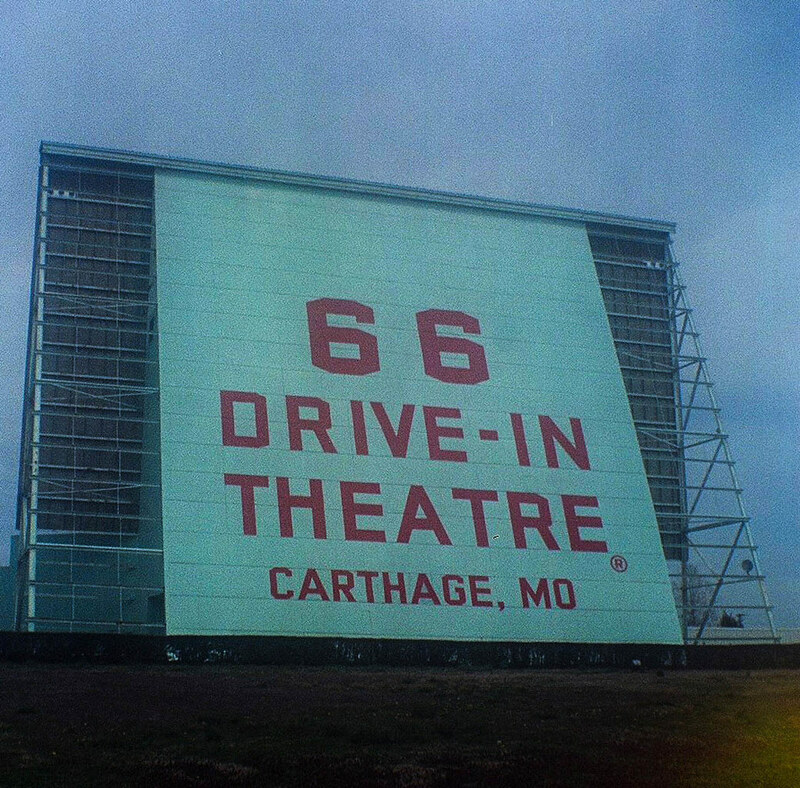 They’re in Illinois, on an old alignment of what is now State Route 4 north of Carlinville. Click here to see the location on Google Maps! 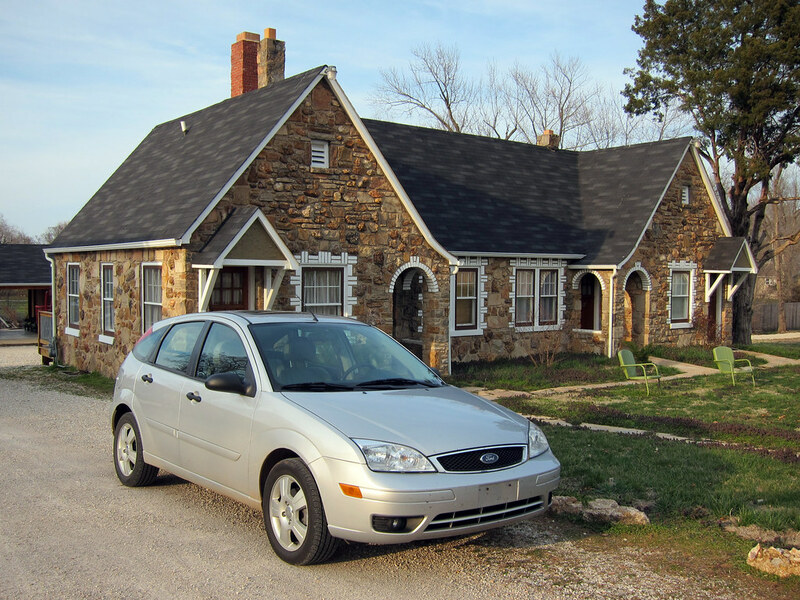 From our 2013 Spring Break trip along Route 66. 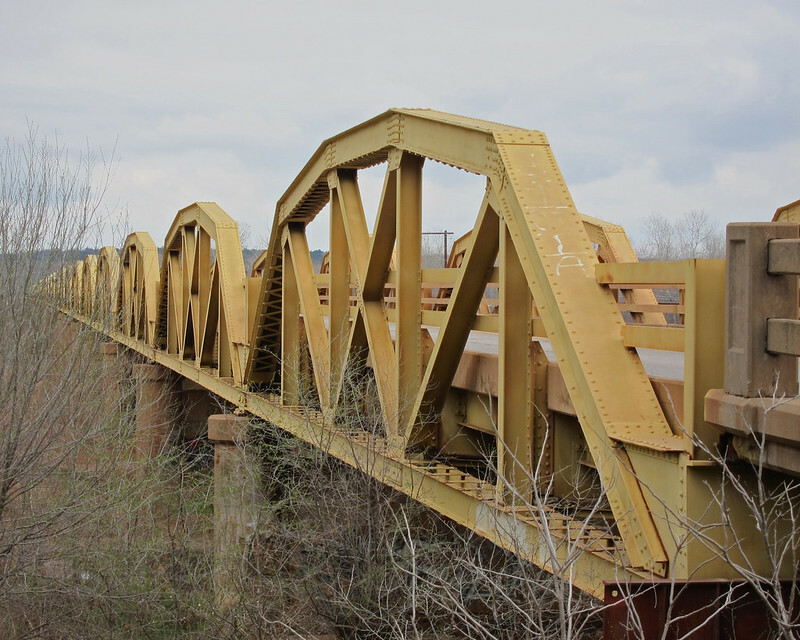 It is perhaps the most iconic bridge on all of Route 66, this yellow pony-truss bridge of an incredible 38 spans. 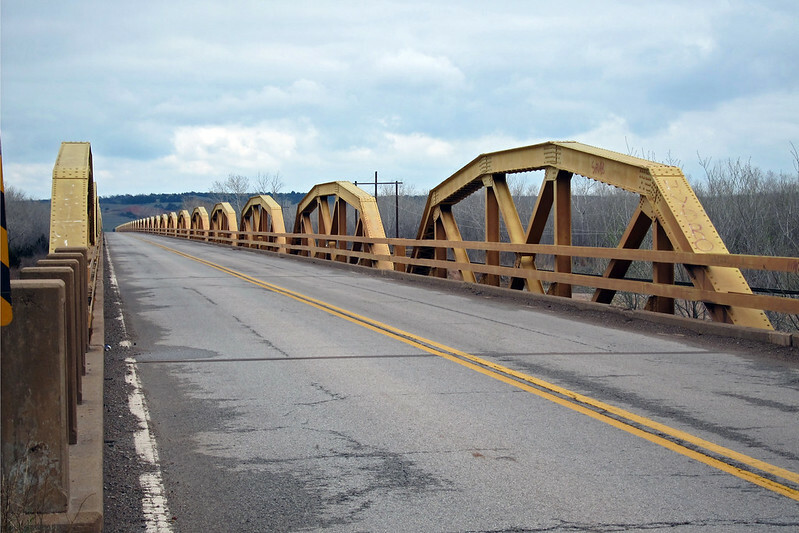 Known by three names — the William H. Murray Bridge, the Bridgeport Bridge, and the Pony Bridge — it was built in 1933 to span the South Canadian River, 21 miles west of El Reno, Oklahoma. And it’s in trouble. At its last inspection, this bridge rated 34.9 out of 100, earning it the “Structurally Deficient” label and a recommendation the bridge be replaced. I am sure it doesn’t help at all that this bridge carries US 281 and so needs to stand up to heavy trucks and high volume, and is only 24 feet wide, considerably narrower than the modern standard for highway bridges. It’s been in danger of being replaced for some time, actually. According to Bridgehunter.com, it was scheduled for replacement in 2015. Yet it still stands, and is not entirely without hope. It is part of a segment of Route 66 listed on the National Register of Historic Places, and the bridge itself is eligible for nomination to the NRHP. And now the preservationists are involved: Preservation Oklahoma features the bridge in its 2016 Endangered Places list. Driving this bridge was a highlight of the Route 66 tour I took with my sons in 2013. At 3,944.3 feet — that’s nearly three quarters of a mile — the spans just kept on coming. They were mesmerizing, almost hypnotizing, as they undulated past. Here’s hoping that this bridge has a long and happy life ahead of it. 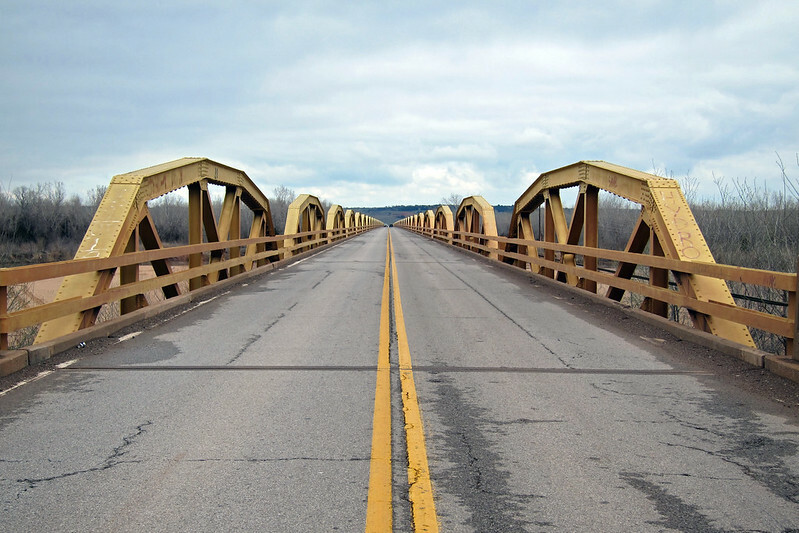 The Oklahoma Department of Transportation is studying several proposals for the US 281 crossing of the South Canadian River, and all of them involve either restoring this bridge or building a new one while leaving this one in place. Unfortunately, one alternative not off the table is to do nothing. Given the bridge’s current state, this might be why Preservation Oklahoma considers it endangered. Every answer but “do nothing” takes money, of course. Here’s hoping Oklahoma can make enough money appear to keep this bridge open for generations to come. 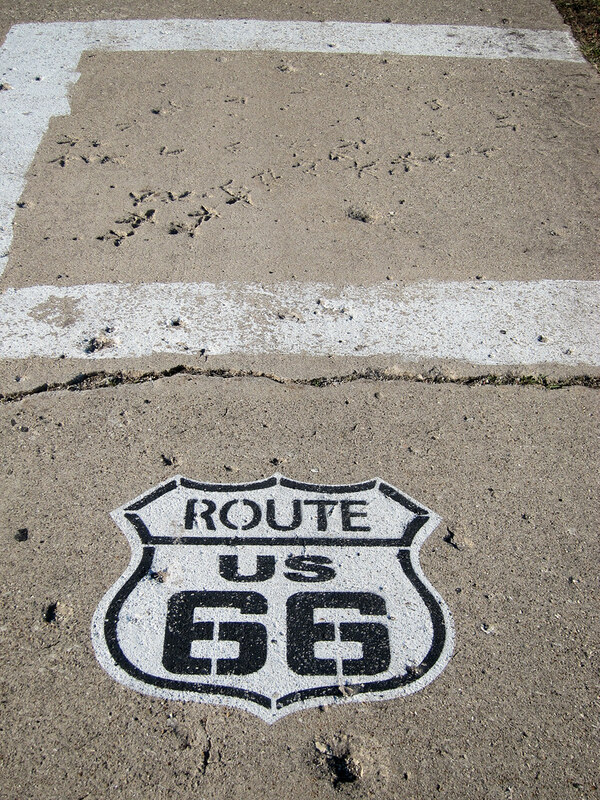 Just dreaming a little lately of my 2013 Route 66 trip. Dug out this shot and Photoshopped it to greater clarity. 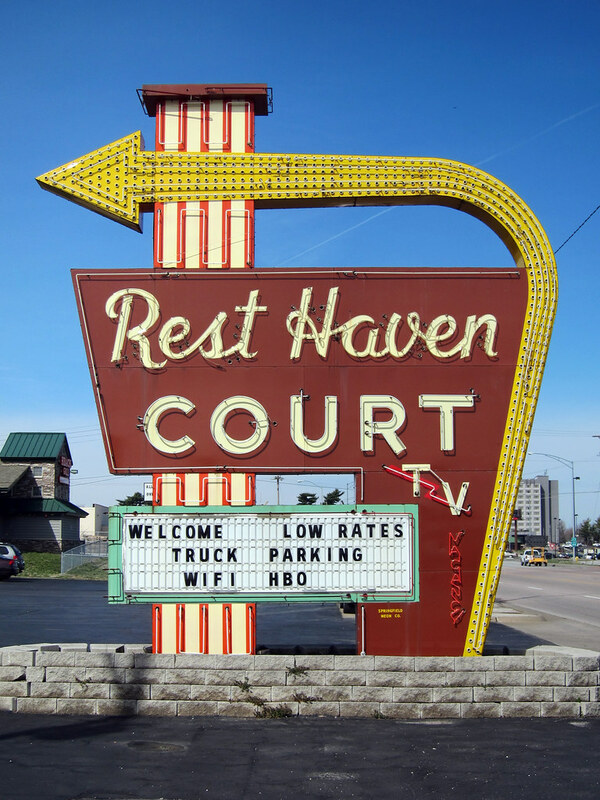 From a Route 66 tour I took with my sons over spring break in 2013.